Discover the best Italian Brown Jewelry Rolls for your collections and keep your precious pieces organized, even if you're traveling! 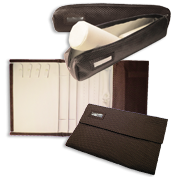 Shop wrap & bangle rolls, suede portable bags, pads, cases & folders for earrings, bracelets, chains, rings & more. All at affordable prices, thanks to our special discount wholesale prices!